Yogis, meet the incredibly kind and amazing Faith Hunter. I credit her with really helping me to make the jump into teaching yoga with her encouragement. 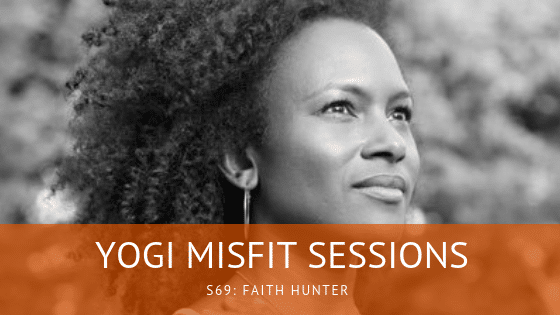 For this session, we talk about dealing with her brother’s battle with HIV and the huge role yoga had in her life with questioning her belief in spirituality, and what it’s like to lose someone to this virus. Committing to a practice both on a physical and spiritual level, Faith was able to re-establish her connection to God, and how time to yourself is a personal haven. We also talk about what it means to be “spiritually fly,” and how being spiritually fly can show up in someone’s life. Meditation is also a huge component of this practice–Faith gives her best advice to starting a meditation practice and maintaining one, letting it feel like drinking water instead of a chore. To complement daily meditation, Faith created the Shades of Soul Meditation Journal inspired by her cousin and infused with her original poems to promote healing, connection, and elevation. Brett Larkin’s Online Teacher Training: Go to http://brettlarkin.com/danni to download the course brochure, and use promo code ‘danni’ when you sign up to get $100 off & my Flight School videos.